Taking psychedelics can be a very eye opening experience. It allows for things to be taken in from a different perspective, nurtures personal growth, and is often great fun! However, if you let them, psychedelics can also help you grow intellectually, especially when supplemented with some psychedelic based reading. By getting to grips with the technical know-how of psychedelics, not only will you broaden your intellectual horizons, but also develop a much deeper relationship with the substances you take – boosting the experience to a whole new level. 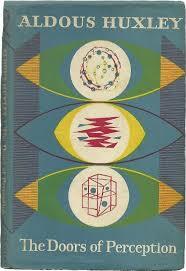 So where to begin your journey into the inner workings of psychedelics and the mind? Well, the following 10 books are a great place to start. In Tryptamine Palace, James Oroc discusses and explores the effects of DMT on his personal growth, his place within culture, as well of the role of theoretical physics within psychedelics. Although putting psychedelic experiences into words is a near impossible task, James Oroc goes a long way to achieve it – it is a must have read for anyone who considers themselves a serious psychonaut. 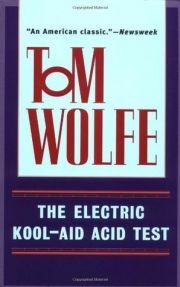 The 60's was the true birth of the modern psychedelic scene, and Tom Wolfe was there to see it all unfold. In his first-hand account, Wolfe outlines the antics and experiences of Ken Kesey, who went on a drug fueled tour across the USA with his posse, the Merry Pranksters. Kesey has been a key influence on many big names, including Sir Paul McCartney and The Grateful Dead. If you want an insight into the origins of psychedelic culture, then this book is definitely worth picking up. 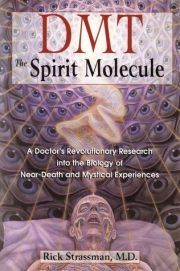 Probably one of the most informative and comprehensive resources on DMT available to this day, Rick Strassman's DMT: The Spirit Molecule takes a look into the world of DMT, science and its ability to be used as a therapeutic tool. 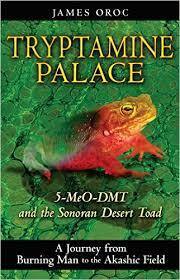 Rick Strassman is one of the only people to have performed DEA sanctioned research into the science behind DMT – one of the most potent psychedelics known to man – so if you want the lowdown, this is the book to read. The Pharmacotheon is a must have bible for anyone interested in concise, scientific information on a whole array of psychoactive plants. The sheer quantity of information available in this book is astounding; however, a word of warning, it makes for some very intense scientific reading, and may not be suitable to people looking for a bit of lighter information on the subject. Terence McKenna is a man that has been exploring the wonders of shamanism, Buddhism, and enthnopharmacology for the last 25 years. 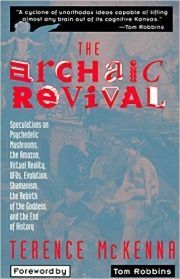 In his book, The Archaic Revival, McKenna discusses the revival of shamanic practices, which he believes can be enhanced through science and in the ability of psychedelics to take us to the next level of spiritual understanding. Terrance McKenna was one of the most influential minds behind the philosophical, intellectual, and scientific aspects of the psychedelic movement. 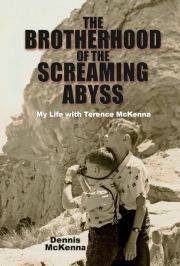 Brotherhood of the Screaming Abyss: My Life with Terence McKenna recounts the life of this legendary man from point of view of his brother. Although it focuses more on the man than his work, the two are so closely intertwined that you cannot explore one without the other. Learn how our understanding of psychedelics was shaped by this intellectual giant, and how he was shaped in turn by them. 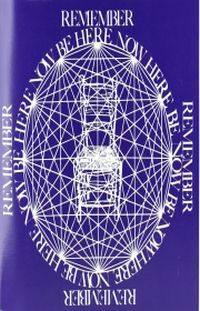 Be Here Now tells the real account of a Harvard psychiatrist who went on an acid fueled journey through India to explore his spirituality, and grow as a person. It shows how anyone can establish contact with their inner being, and bring more balance to their lives through the use of psychedelics and traditional practices. 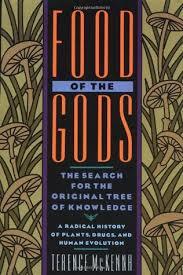 Another book from the master, Food of The Gods explores the notion that magic mushrooms are in fact the first tree of knowledge, and that by inhibiting psychedelic exploration, Western society is slowly moving towards its own destruction. Quite a bold statement to say the least, but the arguments put forward are well constructed, thought provoking, and outright fascinating. Aldous Huxley was a well-respected scientist of the 50's who became directly involved in scientific mescaline experimentation. The Doors of Perception explores Huxley's first hand experiences, from its immediate properties, to the long lasting effects it had on his awareness and way of thinking. We see a relatively naive man (when it comes to psychedelic experiences) develop his understanding and interweave it with sharp intellectual observations. If you only end up taking one book away from this list, make sure it is this one. The Psychedelic Experience is a manual designed to be used as part of any psychedelic journey. 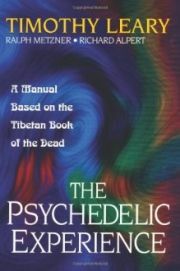 It is the result of years of drug taking by some very prominent names within the psychedelic scene, including Timothy Leary himself, and is the ultimate guide for reaching spiritual enlightenment and understanding through the use of psychedelics. 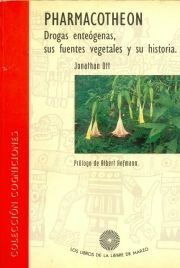 It offers a very good foundation of knowledge for those who are not too familiar with psychedelic literature, but will still be at home on the bookshelf of any psychonaut, no matter their level of experience.